In Juab County, UT, 24 cars came off track completely, nine of which were tankers carrying phosphoric acid, bio diesel and other non-hazardous materials. 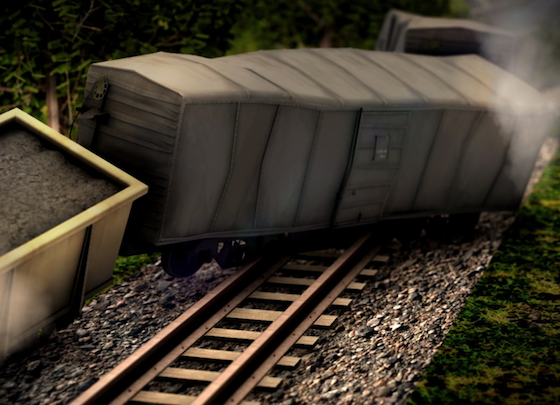 A train carrying 165 cars of hazardous and non-hazardous materials derailed next to milepost 124.5 on SR 6 on Saturday in Juab County, Utah, with 24 cars actually going off the tracks. Twenty-four cars came off track completely, nine of which were tankers carrying phosphoric acid, bio diesel and other non-hazardous materials, officials said. One car reportedly flipped and spilled an unknown amount of propane at 9:25 a.m. Saturday. The cause of the derailment and subsequent leak is yet to be determined by Union Pacific Police. “Of the 165 cars total, 24 of them actually went off the track and derailed,” said Juab County Sheriff Douglas Anderson. There were an estimated 60 personnel working to keep the chemicals from intermixing, Anderson said. “As a small county sheriff’s office, we just appreciate the involvement and the resources from these larger agencies that have the resources to help us out,” he said.